If you're using HDMI output with an Nvidia graphics card, you likely aren't getting full and accurate color range, specifically at the black and white ends of the spectrum. For some reason, Nvidia cards default to Limited RGB (16-235 levels of differentiation per color) when using HDMI, despite a PC display's ability to support full RGB (0-255 colors).This driver issue has been affecting the HDMI output of Nvidia cards for years, and could be limiting your color range without you knowing it. Luckily there's a fix. PC Gamer contributor and all-around PC modding hero Peter "Durante" Thoman has released a simple patch to fix the Nvidia color issue. Before Thoman's patch, the only way to fix the issue was via editing your driver's .ini files before installation. Limited RGB is a setting designed for TVs, which use a video range of 16-235. In full RGB, each of the three additive primary colors (red, green, blue) has a full range of zero to 255 color value, but in limited RGB the extremes of that spectrum are stripped away. Any color value of 16 or below is just displayed as 16, and anything in the 235-255 range defaults to 235. Presumably, using HDMI output made Nvidia cards think they were displaying to a TV, locking into the TV-designed limited RGB setting even when a full RGB-capable monitor was in use. A quick test to see if you're experiencing the issue is to open this image, courtesy of a helpful Reddit poster. 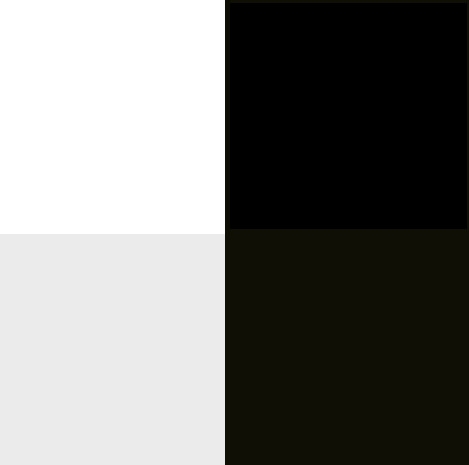 If you see four distinct shades, two white on the left, two black on the right, then you're in the clear. But if you only see a black and a white column, you have the problem. Being forced into limited RGB meant not getting the full colors you should be able to display. Why settle for muted grey when you could have deeper blacks and brighter whites? Thoman's patch takes care of the issue, but you will have to reinstall it every time you update your drivers. Despite this having been a problem for years, Nvidia seems to have finally taken notice of the issue. According to a screenshot of a conversation with an Nvidia rep, the issue will be fixed in the next driver branch release. That driver is still in development, so there's no ETA, but at least it's on the way. Until then, we have Durante.